Budgeting. It’s the first step to nailing your personal finance situation, reaching your savings goals and living a debt-free lifestyle. Budgeting can help make you feel more in control and more secure which means it’s definitely something to consider if you’ve never tried setting a budget before. 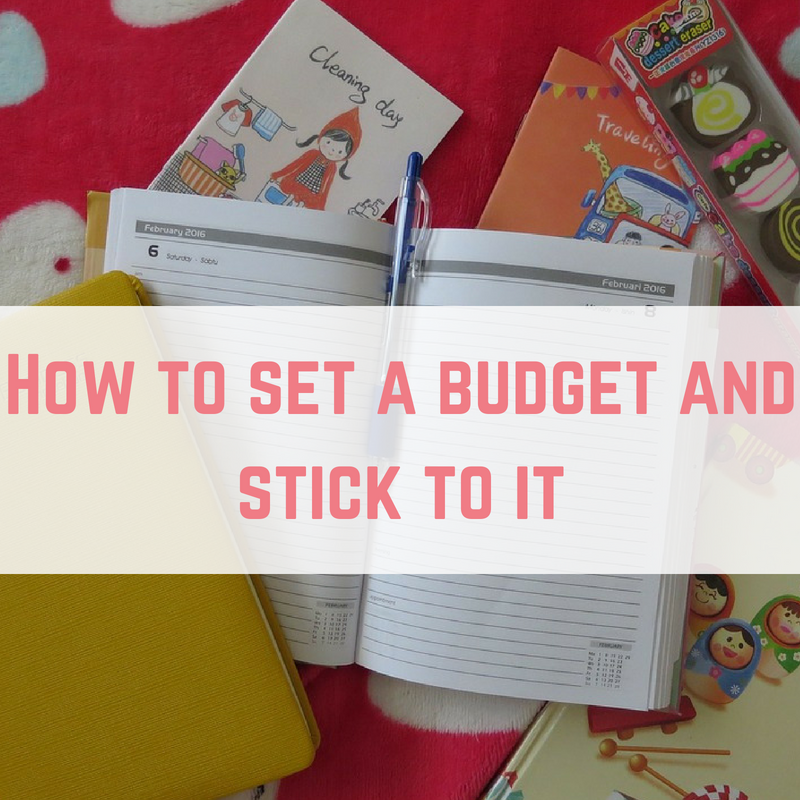 If you’ve already tried budgeting, but it hasn’t worked out, I’ve got a load of ideas to help you stick to a budget plan like never before. 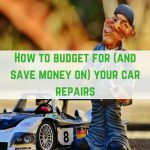 So- how do you set a budget? The concept of a budget is really quite simple. When payday comes, account for all of your monthly expenses (including any savings), and then share out what is left into categories for the month ahead. You can either set a weekly budget, a monthly budget, or most likely a combination of the two. For example, you may decide to set a weekly budget of £40 for grocery shopping, but a £20 monthly budget for clothing for yourself. 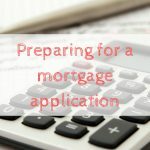 Think about the categories which are relevant to you, and how much you would like to be spending on each one- make sure you set yourself realistic and achievable targets here and above all, make sure that your budget does not exceed your income. 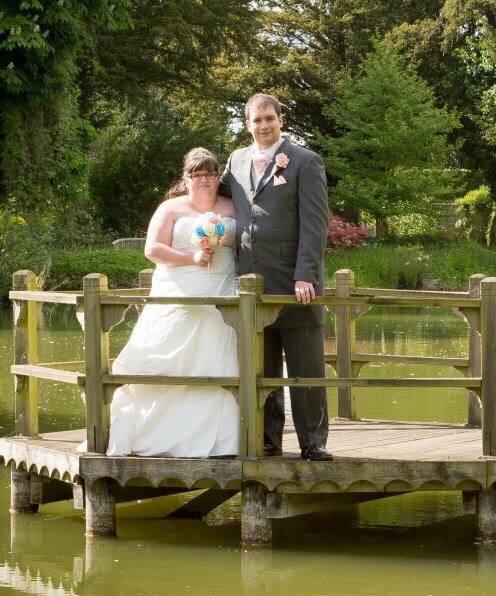 Depending on your personal circumstances, you may choose to have one or more budget plans- for example, if it’s just you and your partner, you may decide to only keep one personal budget. If you are a family of four with two earners in the household, you might consider keeping both a personal and a household budget (where both salaries are taken into consideration) to account for things like expenditure for children. 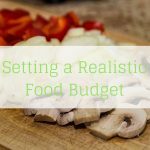 How do you stick to a budget? When you get serious about budgeting, it’s a good idea to put a couple of measures in place to make sure you stick to your plan. It’s fairly easy to create a budget, but the hardest part is sticking to it long term. If you’re finding yourself straying from your budget, you can revisit these tips to help you stay on track, live within your means and achieve your financial goals. Finding deals with Sello is a great way to stay on track with your budget. 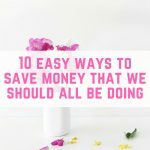 Everyone is different, and that means that you need to find the method of budgeting that works best for you. 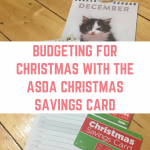 Whether you withdraw your money in cash and separate this into categorised envelopes, you track everything on a spreadsheet, or you use a trusty notepad and pencil- try a few ways to find the best method to ensure you stick with your budget plan. Whichever method you choose, you need to pick one that is going to accurately track your spending- so it’s important to record all of your outgoings, no matter how small. A great way to track your receipts is using an app like Shoppix which actually rewards you for uploading photos of your receipts. If you’re keen on setting yourself a budget, you probably have some financial goals in the back of your mind that you would like to achieve. It is always important to remind yourself of these goals to keep you on track and remember the bigger picture. You want to save up for that beach holiday? Change your desktop and phone background to your dream destination. 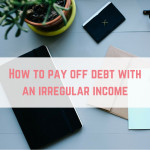 You want to get out of debt? Work out what your debt-free date will be if you stick to your budget, and write this down on notepads, diaries, and anywhere else that you will regularly see this date. Having frequent visual reminders of your financial goals is the best motivation you can get to stick to your budget, and stop you from making financial decisions that will blow your budget plan. Some people find that following the Dave Ramsey Baby Steps UK version works for them. Once your salary comes through at the end of the month, and all of your monthly bills are settled, it’s time to pay yourself. Whether you’ve got some big savings goals or you’re building that all important emergency fund, you need to put money in a separate account as soon as you get paid. If you start treating your savings like a bill, and put the cash straight into a separate account, the temptation won’t be there to fritter away any money that you have left spare in your current account. Temptation is one of the main things that will bust your budget. Whether you have an all-consuming love for clothes, or splashing out on expensive food or drinks-it can be hard to be strict with yourself and reign in the treats whilst sticking to a strict budget. Say for example you love clothes shopping but your monthly budget for clothes is £0 for the next 6 months. To avoid the temptation to shop, unfollow your favourite brands on Instagram, ditch the fashion magazines, and unsubscribe from those emails enticing you with ‘exclusive’ discounts and deals. Out of sight, out of mind is the best policy here to ensure that your bank account remains firmly in positive figures. If you know that going cold turkey on your favourite pastime is going to be tough for you, you can always ease yourself in gently and reward yourself once you achieve some milestones. For example, you might allow yourself to buy a new dress once you have paid £1,000 off your credit card. 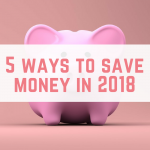 This makes it much easier to stick to the budget plan if you can see an end point- and you’ll feel like you really do deserve to treat yourself. In order to stick to your budget, you need to regularly check in with yourself to make sure that there are no costs that slip through the net that end up messing up your budget- this is particularly necessary in the first few months of your budget plan. It’s also important to review your budget whenever there is a change in your personal finance situation- whether that’s paying a different amount of rent or getting a better deal on your phone contract, whenever there’s a change it’s time to tweak your budget accordingly. 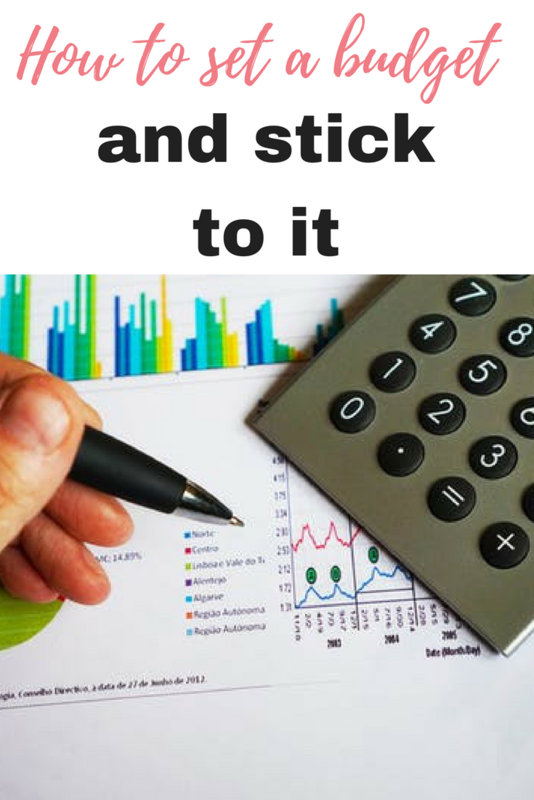 You’ll probably find yourself making adjustments quite often as your lifestyle will change at various points of the year- as long as your budget plan is ultimately working for you, and you are on track to reach your goals- that is all that matters. 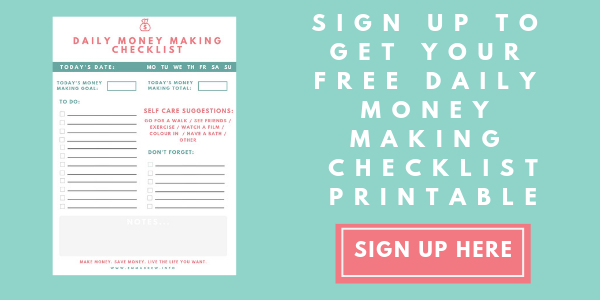 Working from home can be a struggle, so I have put together my free daily money making checklist to help keep you on track. 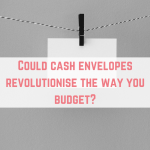 Could cash envelopes revolutionise the way you budget? Exactly!! This is the kick I need sometimes to keep going.